For the last 20 years, Venezuela has been a major threat to the United States in the Western Hemisphere—outstripping even the threat of Castro’s Cuba—because of its oil wealth, rabid anti-American leadership, and its support of global terrorism (namely, Iran’s Hezbollah). Now, however, the country’s economy has imploded. Meanwhile, the entire society is collapsing into anarchy and, potentially, civil war. The region’s greatest humanitarian disaster is the sole creation of the horrific socialist policies of the Nicolas Maduro regime—and the crisis is only worsening. American action is, therefore, required to mitigate the threat it poses to us. As the Western Hemisphere’s dominant power, the United States simply does not have the luxury to turn a blind eye to the implosion of Venezuela. As I have argued before, the crisis there will have direct and immediate negative consequences for American national security. While I oppose an American military intervention to topple the Maduro regime (at least for now), I do support working toward a regional solution. Earlier this year, I proposed for the Trump Administration to cobble together Brazilian and Colombian forces—along with some American forces—to run humanitarian supplies into Venezuela, with or without the permission of the Maduro regime, in a sort modern day redux of the famous Berlin Airlift. While dangerous for American and allied pilots, it would be non-lethal aid given directly to the Venezuelans, until a comprehensive, diplomatic solution for Venezuela could be crafted. 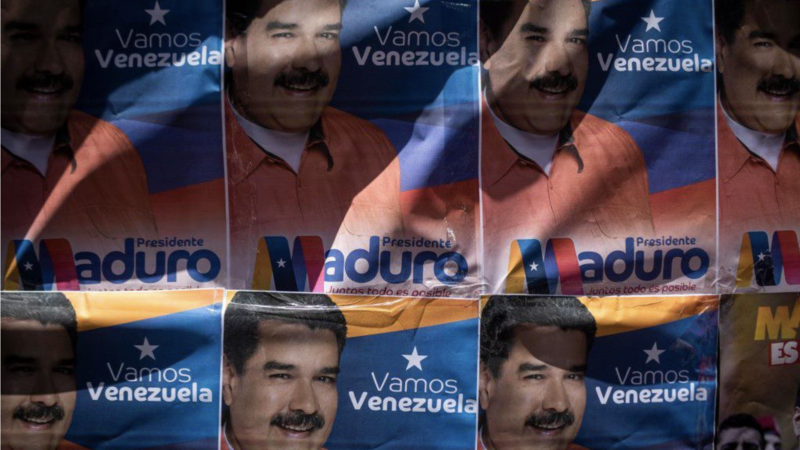 Over the last year, some in the Trump Administration floatedthe possibility of limited military intervention, to weaken the already-crumbling Maduro regime, and empower the anti-Maduro (mostly Right-wing) resistance. The White House ultimately buggered off this suggestion. Fact is, over the last 30 years of using the U.S. military for humanitarian purposes, the results have hardly been good for the United States. So suspicions about yet another such effort are not unfounded. That said, we have more to lose in standing by and doing nothing than we do in a serious and measured effort here designed to protect our interests. From January through July 2017 [over 15,000 Venezuelans] have filed in the United States [as asylum seekers]. With the recent purported assassination attempt on President Maduro—who has naturally promised harsh reprisals against his enemies (while blaming neighboring Colombia and the United States)—violence is set to intensify. This will only exacerbate the outflow of refugees, further destabilizing the entire region—and having direct, negative effects for the United States. If even five percent of the current population [of Venezuela] fled (a smaller percentage than recent outflows from Syria or Yemen), that would well mean over 1 million migrants. Still, an American military intervention into Venezuela not only would be costly, it would also go as badly as the American intervention did in Iraq in 2003. You see, even though most Venezuelans revile their current leadership, many hate us gringos just as much. Far from being greeted as liberators then, the United States military would be viewed as oppressors. And, just as in Iraq, thousands of American troops could get bogged down in Venezuela. Instead of military intervention, the Trump Administration has decided to slap onerous sanctions on Venezuela. Unfortunately, the sanctions haven’t worked: the vile Maduro regime remains in power while the people’s suffering only intensifies. In fact, isolating Maduro with sanctions has allowed him to consolidate power, to intensify his government’s illicit narcotics production, and to solidify his alliance with Russia, Iran, and China. We’ve seen the failure of economic sanctions play out before in Iraq throughout the 1990s and, later, in North Korea. Sanctions meant to topple a nasty regime often serve only to empower it, destabilize the wider region, and harm the civilian population the sanctions were intended to protect. Something less caustic must be tried. The crisis afflicting Venezuela is economic at its core. The American-backed sanctions are complicating any hopes that Venezuela has of recovering economically. Therefore, the Trump Administration should begin reducing the sanctions, and flooding Venezuela with humanitarian aid, thereby allowing the country to recover some of its lost economic capacity. As it does this, the White House—along with its Latin American allies—must insist that the Maduro regime ensure that whatever wealth is generated by the lifting of the sanctions is shared with the bulk of his people (otherwise, the sanctions will return). Further, the United States should redeploy sizable forces away from other theaters and into the U.S. Southern Command (USSOUTHCOM), signaling America’s commitment to resolving the matter with diplomacy if possible—if necessary, however, by force. The United States is connected to Latin America by poorly defended land borders. Unlike threats from the Middle East or Asia, threats from countries like Venezuela can have immediate negative consequences for the United States. Admiral Kurt W. Tidd, commander of the poorly-resourced U.S. Southern Command, has spent the last year warning of the dangers of leaving the southern passes leading to the United States as poorly defended as Washington has. A refugee crisis from an imploding Venezuela would only exacerbate the threat to the United States, and further destabilize the American political situation. We’ve tried economic sanctions, and since we don’t want a wider war, let’s try diplomacy in Venezuela. For more informative content, check out American Greatness!